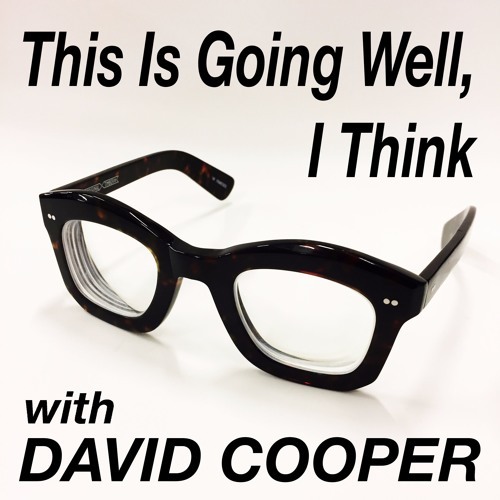 Episode 112 of "This Is Going Well, I Think with David Cooper". Today's guest on the show is Donkey show, a circus acrobat and later she started teaching it. Very soon we have the first caller of the show, Ali. And we loose her quite soon. The next caller is also gone soon enough. We have a new segment on the show and its funny, finally in the show something to laugh about. Then they go on to call David's mom, whose doesn't receive the call, so they leave a message. The domain name part really cracked me up. Davids mom calls up later but it doesn't get weird. We get a brief insight in Davids earlier life. The show is missing its regular guest, Tony, who has been missing from the show for recent few episodes. This is Karti from India rating this episode with a 2 star, an okay episode, thanks to Miranda finally calling in.